In kindergarten, Jarrett Krosoczka's teacher asks him to draw his family, with a mommy and a daddy. But Jarrett's family is much more complicated than that. His mom is an addict, in and out of rehab, and in and out of Jarrett's life. His father is a mystery - Jarrett doesn't know where to find him, or even what his name is. Jarrett lives with his grandparents - two very loud, very loving, very opinionated people who had thought they were through with raising children until Jarrett came along. Jarrett J. Krosoczka’s graphic memoir is a prime example of a book that can help people feel less alone in situations where they think they are unique. The arc is a hopeful one, from living with a drug-addicted parent to taking the one class that sets him on the path to his life's work. 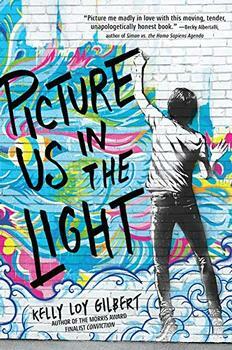 He has created a powerful beacon for those who have been searching for the same kind of hope, and this graphic novel memoir reaches deep into the heart and soul and lodges itself there. (Reviewed by Rory L. Aronsky). Starred Review. Honest, important, and timely. Starred Review. This nuanced graphic memoir portrays a whole family and tells a story of finding identity among a life's complications. Starred Review. A compelling, sometimes raw look at how addiction can affect families. A must-have, this book will empower readers, especially those who feel alone in difficult situations. 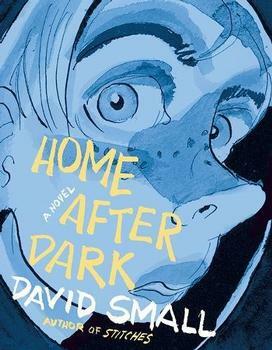 In the Beyond the Book feature that accompanies the review of the graphic novel Home After Dark, there's a list of books to read  basically a graphic novel starter pack. The earliest on the list is Maus, the Holocaust-as-cats-and-mice graphic novel by Art Spiegelman, published in 1986. But go back eight years and you'll find A Contract with God and Other Tenement Stories by Will Eisner, published in 1978. Although historian Richard Kyle coined the term in 1964, Eisner's book is widely regarded as the first full-fledged graphic novel. When it was published, Eisner said that he had "